Happens all the time. We get all gummed-up in an episode of depression or anxiety and frantically search for quick-relief options. But in desperation the “old faithfuls” often fall by the wayside. For instance, when was the last time you soaked in a tub? Guest-post requests hit the Chipur inbox daily. Fact is, I turn-away the vast majority because the intent and subject matter just don’t fit. Received one from writer, interior designer, artist, and entertainer Lori Longoria a few weeks back. Lori, who often writes for Walk In Showers, proposed a piece on the benefits of taking a bath. I wasn’t buying, at first. But then I remembered what my parents did during a derealization episode when I was nine-years-old. They put me in a warm tub – and it calmed me down. Most people know about the benefits of taking a bath for the body. It beats a shower in many ways, hence it’s something we may want to consider at least once a week. Some people go water only. Others use gels. Still others add essential oils, herbs, and more for therapeutic purposes. Apart from relaxation, baths can be medicinal. For example, people dealing with joint aches may take warm baths to alleviate pain. A warm bath is also an excellent choice for women dealing with PMS symptoms such as cramping and backaches. A steam bath in essential oils, such as eucalyptus, can help relieve chest congestion. And those with skin problems may soak in an herbal bath. But let’s not forget the psychological benefits of bathing, because taking a bath may be just the ticket for depression, anxiety, and stress. When you find yourself in the middle of an episode of depression, anxiety, or stress, it’s important to have a relief plan and put it into action right away. Why not make a wholesome choice and soak in a warm bath? In addition to relieving the immediate misery, you may also find it helps you sleep better. And to enhance the healing environment, burn some sweet-smelling candles or incense. Perhaps soothing music will provide a calming effect. Again, some people prefer taking a bath with no additives or maybe just gels. But many swear by essential oils, herbs, and more, and wouldn’t think of giving-up their therapeutic baths. Essential oils known to help with depression: bergamot, lavender, patchouli, peppermint, Roman chamomile, vetiver, ylang ylang, and Melissa. 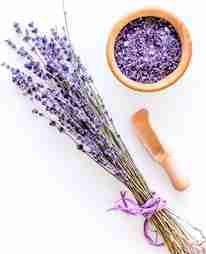 Essential oils known to help with anxiety and stress: lavender, rose geranium, Roman chamomile, clary sage, bergamot, jasmine, sandalwood, sweet marjoram, ylang ylang, and neroli. And beyond using individual essential oils and herbs, there are all sorts of recipes available to facilitate therapeutic mixtures. Finally, some people take detox baths with additives such as Epsom salts, hydrogen peroxide, baking soda, and apple cider vinegar. Many believe that cold exposure therapies work well for depression relief. The idea is exposure to cold can relieve inflammation. And these days, inflammation is being discussed as a potential contributor to depression. It’s also believed that cold exposure activates the sympathetic nervous system, which increases blood level and brain release of norepinephrine. In addition, cold exposure can increase production of those feel-good molecules, beta-endorphins. Keep in mind, athletes take cold baths after intense training sessions to boost muscle recovery and overcome aches. And cold baths are frequently used to counter fatigue, especially when one is trying to get things going in the morning. Cold baths are also a great way to tighten skin pores and boost circulation. Alrighty, then. Thank you Lori for dropping me a line and sharing the bath thing. A good fit it is. You know as well as I that sooner or later an episode of depression, anxiety, or stress is going to whack you upside the head. If you haven’t already, get that relief plan together – and put it into action when the going gets tough. Be sure to take a look at more of Lori’s writing at Walk In Showers. Heck, they even feature walk-in bathtubs. Plenty more mood and anxiety disorder-related articles where this came from. Maybe it’s time to check-out the titles.